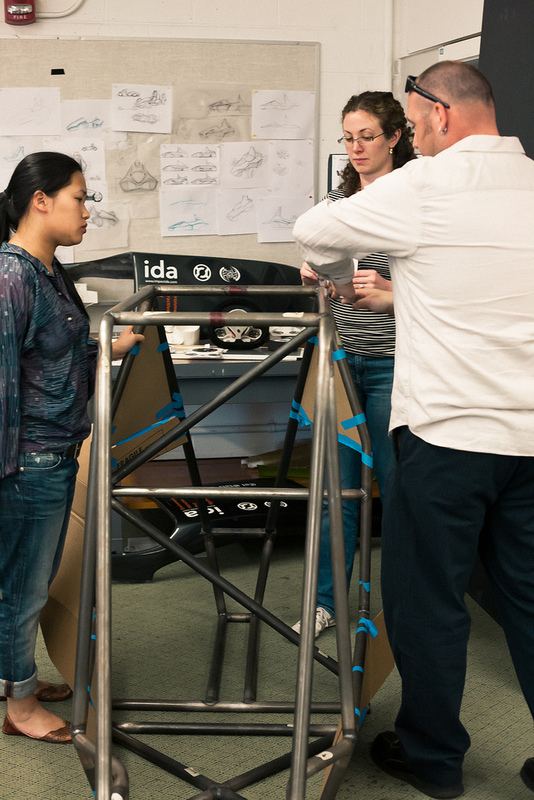 Last Friday Concluded the transitional phase between the design and fabrication phases. Although both models need slight tweaking to fit engineering and competition standards, the models have been approved overall for fabrication. 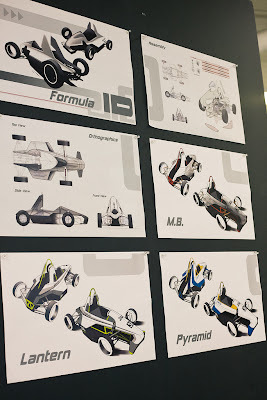 In addition, graphics and livery are being discussed for consideration, yet will be decided upon when fabrication is close to complete. 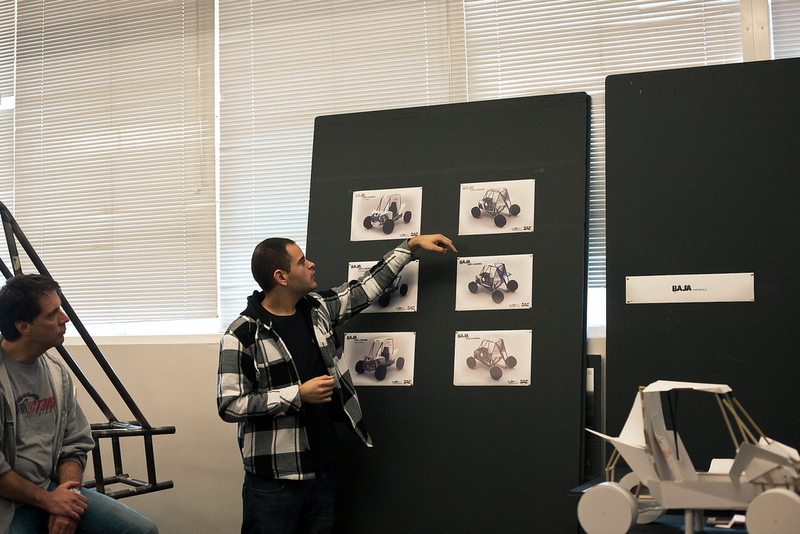 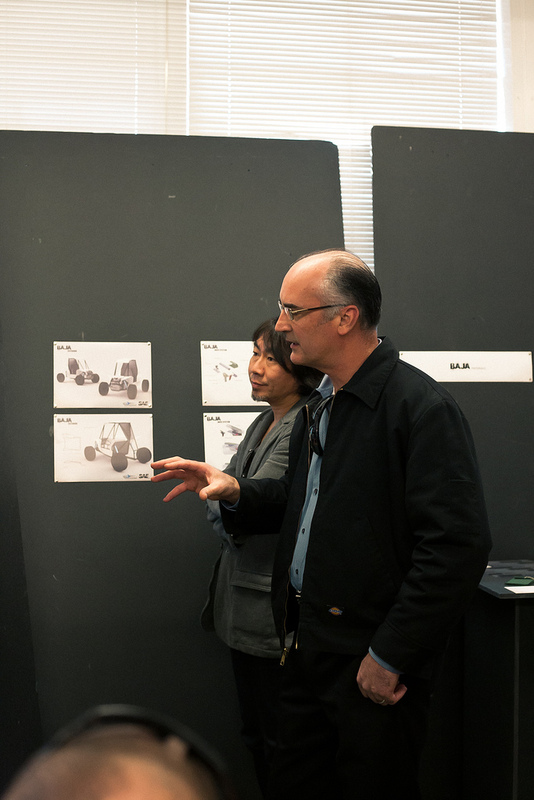 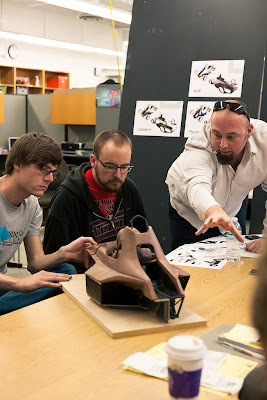 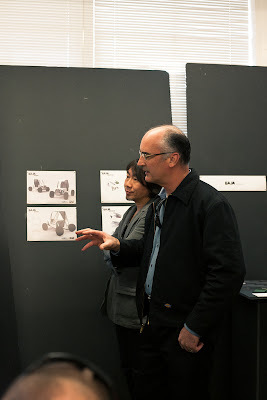 Ulises Martinez (above right) discussing Graphic concepts for the SAE Baja roadster.